Air conditioner not working properly? Bummer! We know that a broken HVAC unit can be a major stressor. That’s why we provide fast, affordable HVAC repair Laguna Niguel service. Looking for dependable local AC service Laguna Niguel and beyond? Our heating and air conditioning repair technicians service all the most common problems on a variety of models. We carry a huge inventory of HVAC parts in our shop and service trucks. What does this mean for you? Full inspection, accurate diagnosis, and fast repair. Regardless of whether you need heating or cooling service Laguna Niguel or anywhere else throughout the region, call Caesar’s today to schedule your Laguna Niguel AC repair appointment. Whether you need air conditioner repair, heater repair, or ventilation repair service, we’ve got you covered! Why Choose Caesar’s for Laguna Niguel HVAC Repair? Our HVAC repair techs have the skills it takes to get your heater or air conditioner back up and running fast! 5-Star service– trust us for quality work and top-notch customer service every time. Fair pricing – we offer affordable pricing on heating and cooling services. Fully-stocked trucks – this means we can fix your AC faster, so you stay cool. Don’t wait to schedule quality air conditioning repair near you. We’ll have your unit back up and running in no time! When your AC goes out in the hot Southern California summer, you need fast HVAC repair service, right? Absolutely! Don’t sweat it out, hoping the problem will somehow fix itself. Call Caesar’s for affordable repair and parts service. Having trouble with your heater once the whether cools off is no fun either! We service all major heating problems in Laguna Niguel. Our HVAC repair technicians service the most common problems. 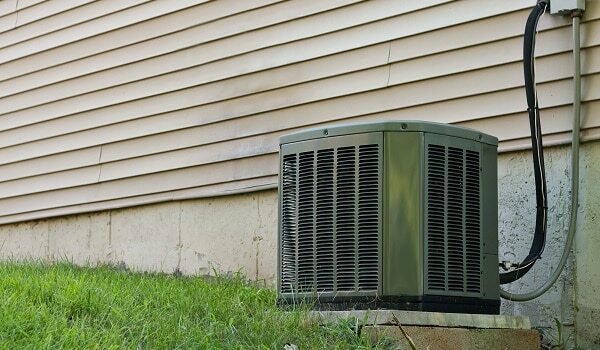 Whether your air conditioner isn’t cold or you have a heater that blows cool air, we’ve got you covered. When you try to escape the hot summer sun indoors, but your air conditioner won’t turn on, don’t panic — call Caesar’s. The sooner we figure out why your AC isn’t working properly, the better. If there’s one thing in this world that you want to ‘blow hot air’, it’s your heater! When you notice that your home isn’t getting quite as warm as it should, it could be time to schedule a heater tune-up or repair. A properly ventilated home is a healthy home. Your HVAC unit works to protect you and your family from harmful dust, allergens, and other air-borne particles. Indoor air is actually 2-5 times more polluted than outdoor air, according to the Environmental Protection Agency. Improved Air Quality – Well-ventilated indoor air reduces growth of harmful mildew, airborne germs, and unhealthy dust particles. Energy Efficiency – An HVAC system that runs efficiently means lower energy bills for you. Home Comfort – Obviously, it’s great to come home to a nice cool house on a hot day! 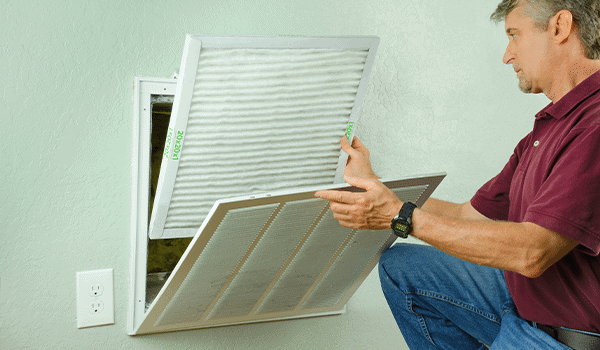 Routine maintenance of your HVAC system should include changing the air filter in your home regularly. There are different types of HVAC filters and when you know what you need, you can properly care for your furnace and air conditioner. Unlike some other home appliance issues, when you have an AC not working, you notice right away. After all, there’s nothing worse than suffering through the heat while your air conditioner sits there useless. That’s why you need to find the source of the problem quickly.